SPECTACULAR VIEWS OF THE OCEAN & PAR 5 6TH HOLE OF THE HAMMOCK DUNES CLUB. Located on a gorgeous 1/2 ac. lot on the lake & golf course. Lovely curb appeal w/circular driveway and professional landscaping. Custom built by Machin Design Builders, one of the areas premier builders. 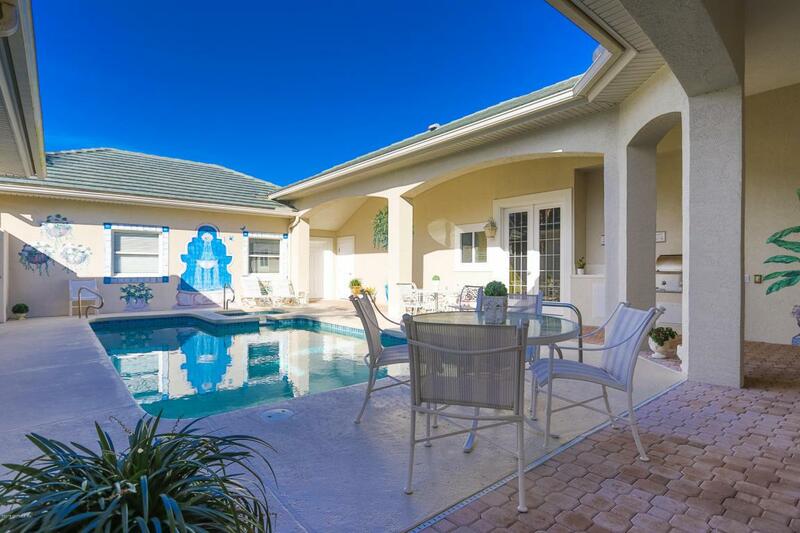 Gracious courtyard entrance w/separate guest house w/full bath & wet bar. 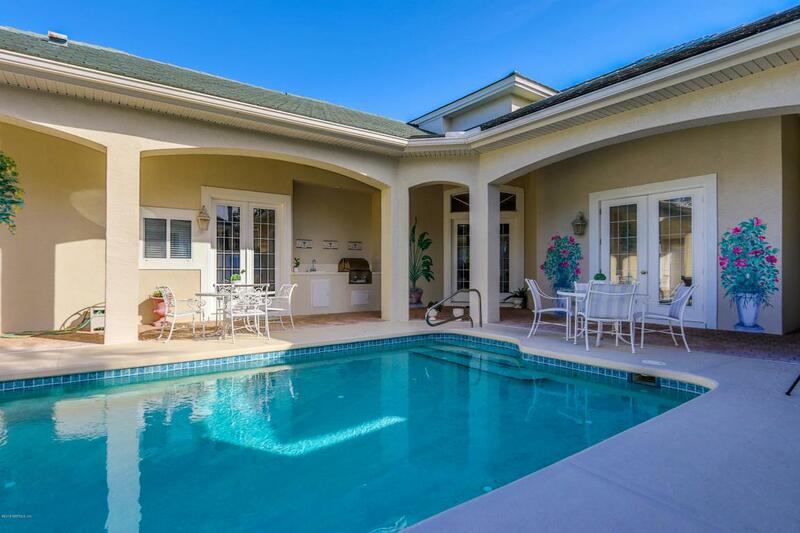 Wonderful private, heated pool & spa. As you enter you will appreciated the abundance of windows which make this home light & bright...you just want to smile. 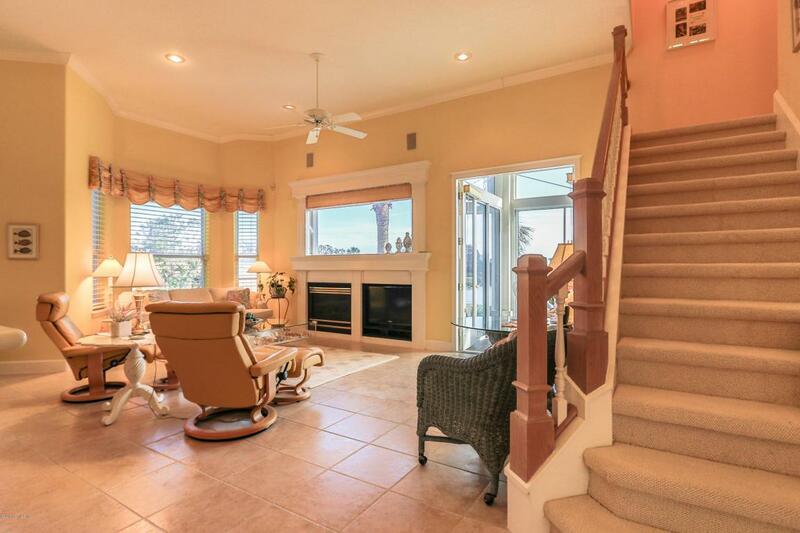 Charming enclosed sun rooms on 1st & 2nd floors w/ocean, lake & golf views will make you feel like you never want to leave. Kitchen open to Family Room w/fireplace. Fabulous 434 SF Great Room on 1st floor, ideal for entertaining! One owner home & impeccably maintained. Oversized 3car garage has an airconditioned bay which is ideal for your "prized car" or hobby room. 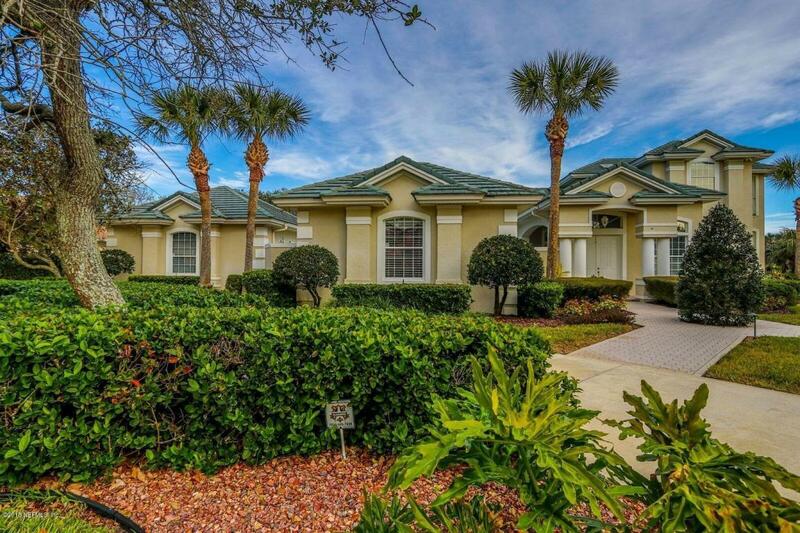 This home is located in the private, oceanfront gated community of Hammock Dunes & is SHORT WALK TO BEACH! Membership in the private Hammock Dunes Club is available but NOT required. Hammock Dunes Club is a Designated Emerald Club of the World and boasts 2 Audubon certified championship 18 hole golf courses, oceanfront clubhouse, fitness center, heated oceanfront pool and spa, tennis, croquet and more. Enjoy gourmet or casual dining at two clubhouses, ocean terraces or poolside. The Creek Course has recently been ranked in the Top 100 Residential Courses in the nation. Ranked #1 Readers Choice Award for Best Private Club in the Southeast by Orlando Style magazine!